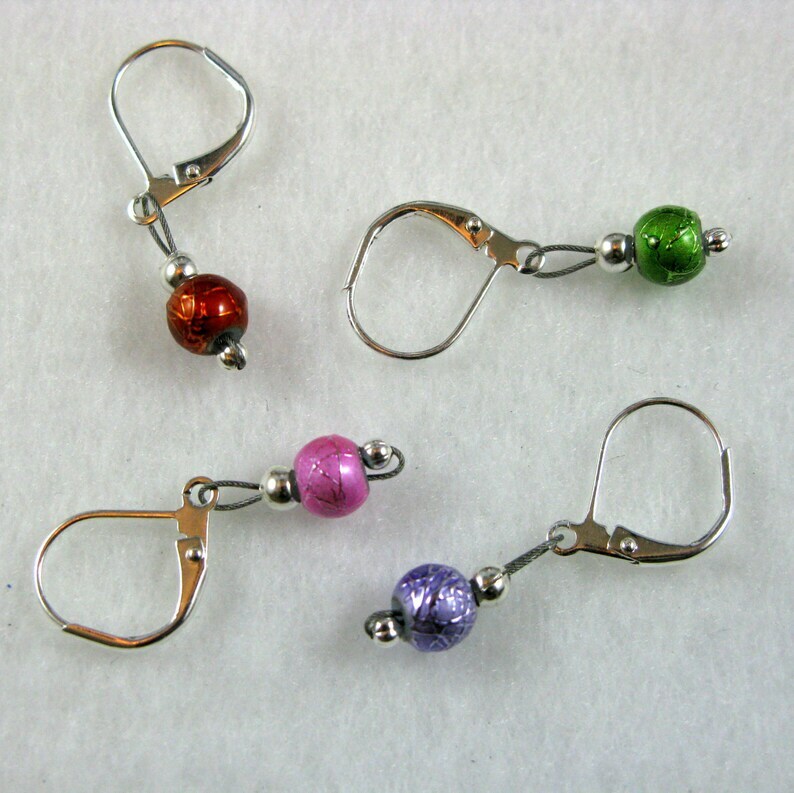 This set of 4 removable markers has multi-colored Spectra beads (red, pink, green and purple) and are attached to silver plated lever back clasps. These removable markers can easily be placed anywhere on your knitting or crochet and can also be used directly on your needles (fit up to a size US 11). As with all of our knitting supplies, these markers come with their own handy storage container.